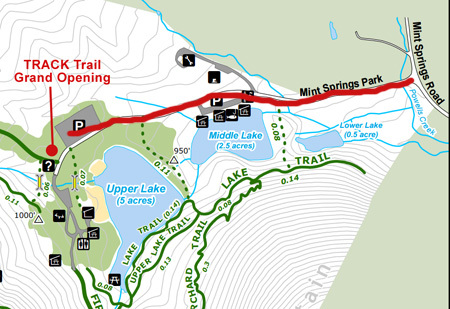 June 13th is National Get Outdoors Day and we're celebrating with the grand opening of the Mint Springs Valley Park TRACK Trail in Crozet, Virginia! We'll meet at the map kiosk at 10 AM for a ribbon cutting ceremony, followed by a walk along the newly renovated lake loop. At 11AM, the lake opens up for swimming so make a day of visiting the park! We hope to see you there!